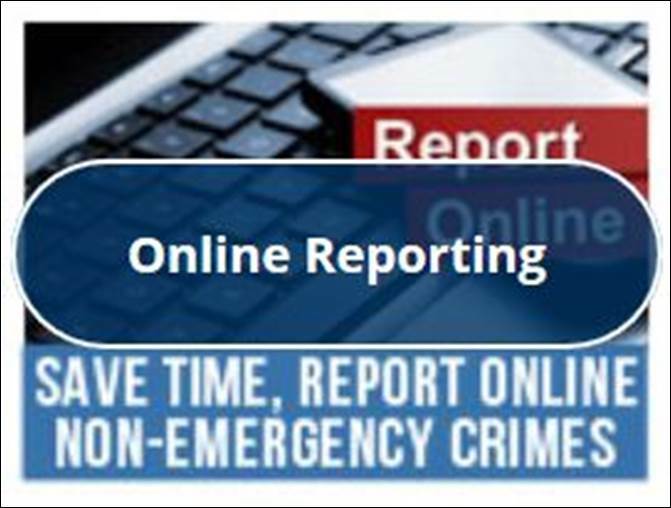 The Kingsport Police Department is pleased to debut a new Online Reporting option for the public. This web-based reporting system will allow citizens to file police reports to document certain types of incidents over the internet, at their own convenience, and at no cost. The Kingsport Police Department expects this internet based reporting service to be very popular among citizens. This service will allow the public to file a report at a time that is best for them, without having to travel to the Justice Center or wait for an officer to respond to their location. Upon submitting a report online, the citizen will be able to immediately print a temporary copy of the initial report. The report will then be reviewed by K.P.D. personnel, and once approved, the citizen will receive a confirmation email containing a free copy of the final approved report. Finally, the report will upload into the Kingsport Police Department records management database and receive the same investigation and statistical analysis capabilities as if the report had been filed by a police officer. 2) File the report via a smart phone by calling 1-833-827-4992. The citizen will then enter their own smart phone number. Coplogic will send a text message to that smart phone with a link to access the Online Reporting system. K.P.D. conducted a “soft launch” of this new Online Reporting option at the end of November 2017, and to date approximately 20 reports have already been filed online by citizens. At an average time savings of 30 minutes of an officer’s time per report, K.P.D. estimates that 10 man-hours have already been saved. Now that this option is actually being advertised, these numbers are expected to soar. The time-saving factor alone, not only for citizens, but also for officers, is extremely valuable. Allowing citizens to self-report certain types of incidents will free up some time for officers to address other community needs and to conduct more proactive law enforcement, crime prevention, and public safety initiatives. This service will also allow Kingsport Police Officers to respond to more critically urgent matters, crimes in progress, and genuine emergencies in a more efficient manner.